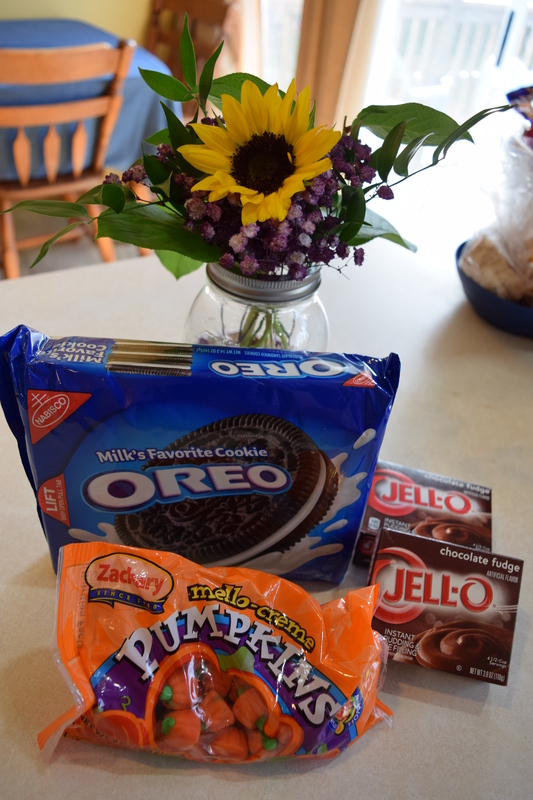 Pumpkin books, pumpkin recipes, and pumpkin activities. 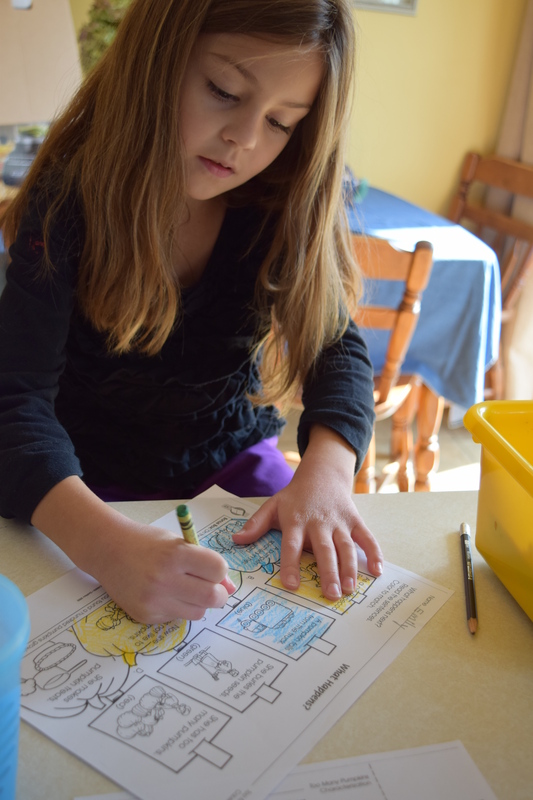 The last two weeks of school have been centered around learning about one of fall’s favorite, brightly colored fruits as we said goodbye to October and hello to November! 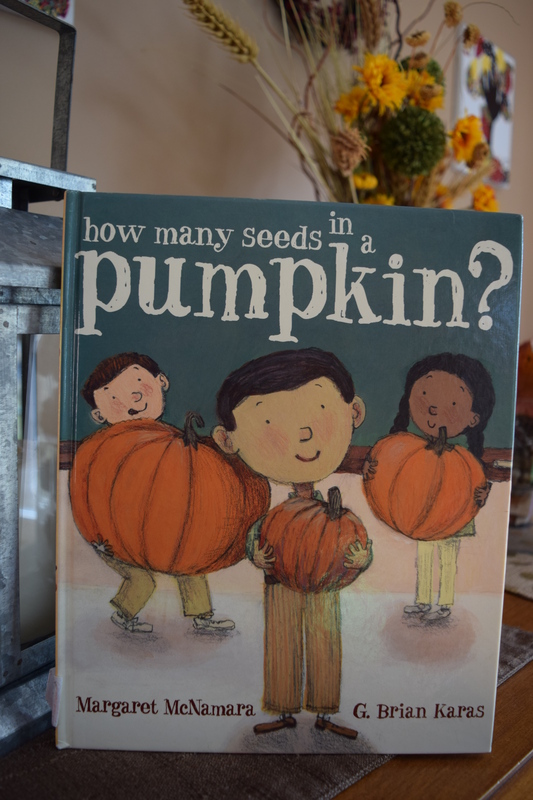 I kicked off our Pumpkin Unit with an introduction and challenge to memorize Virginia Kroll’s “Pumpkins” poem. The poem is full of descriptive words and rhyming couplets. On the first day, we read the complete poem (see link below.) We created hand and body motions to accompany the rise and fall pattern of the words as we read them. 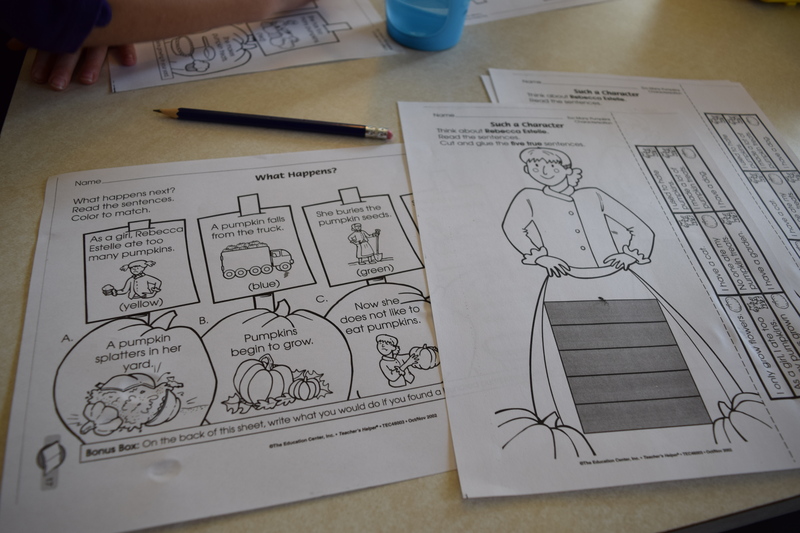 I found some great (and free) reading comprehension activities that went along with the poem and picked the activities that I thought would best be appropriate for the girls to complete. Each day we worked on the poem, adding two lines at a time. We recited it at lunch, we recited it at dinner, we recited it over Skype, in the car, when we walked, at dance, just about everywhere we went. Even my two year old was reciting the opening line. By the end of the two weeks, the girls and I were able to recite the whole poem from memory. It was an accomplishment for all of us. With this story, we worked on characterization, cause and effect, and sequencing events. 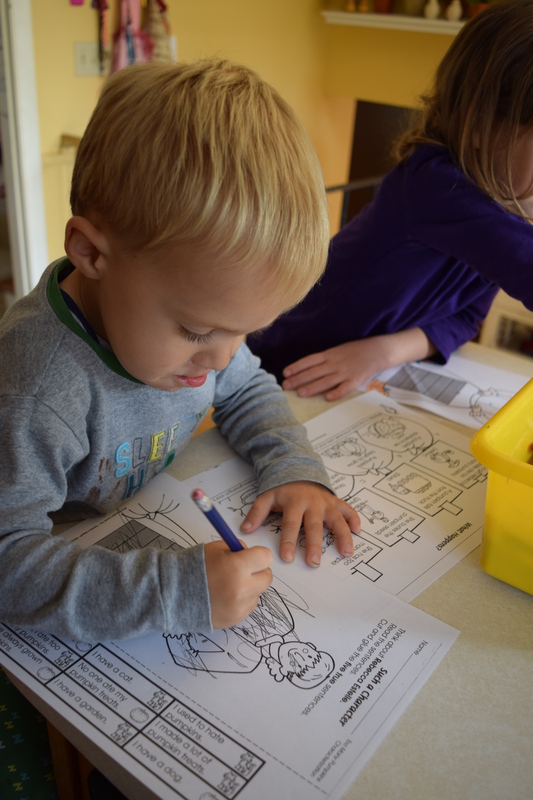 You can get the same materials I used online at The Mailbox Education Center. 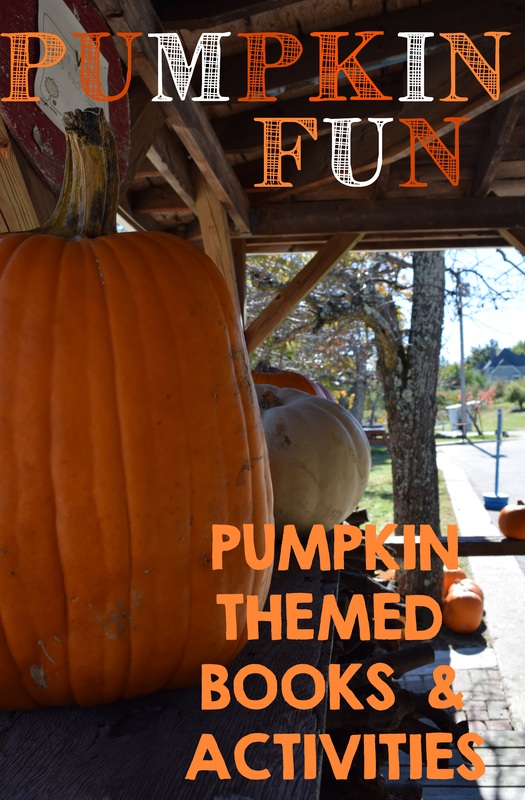 Our first pumpkin unit field trip included a trip to Rhode Island to visit my family and the Roger Williams Zoo’s Jack-o-Lantern Spectacular. 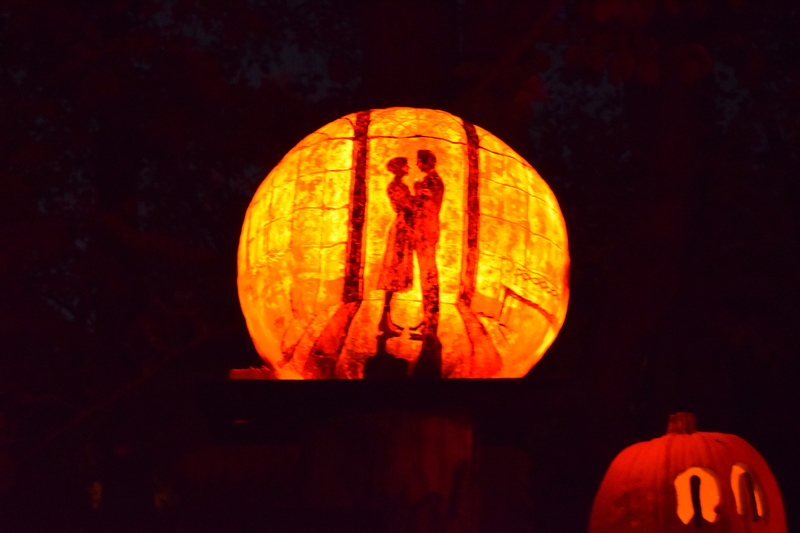 The Spectacular was founded in 1988 by a former mail carrier who has put a team of professional pumpkin carvers together, called Passion for Pumpkins. 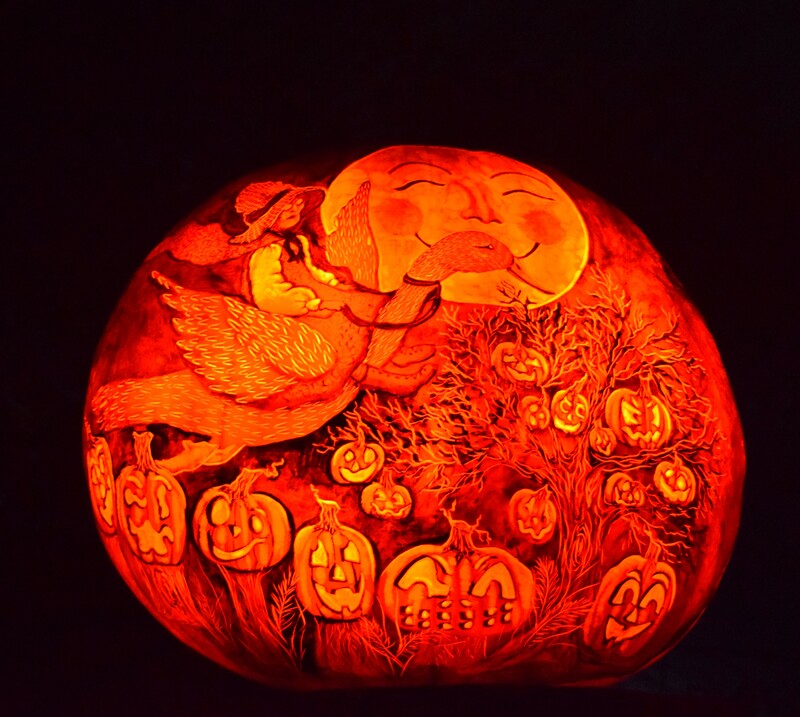 The carvers spend 6 – 8 weeks creating 5,000 pumpkins to be displayed on the Zoo’s Wetlands Trail amid special lighting and themed music. 1 Some of the pumpkins were amazing (see below, Mother Goose and the Sound of Music.) The creativity is worth seeing. A word of warning though, the path is very dark, there are a lot of people, and some of the displays are scary. If you have children (or adults, for that matter) who are sensitive to noise and crowds, this might not be the best place to take them. We quickly pushed through the crowds to avoid seeing the more spookier displays. The second trip we took was to the pumpkin “patch” (aka Garden Center.) We walked around trying to find all the pumpkins described in the pumpkin poem. 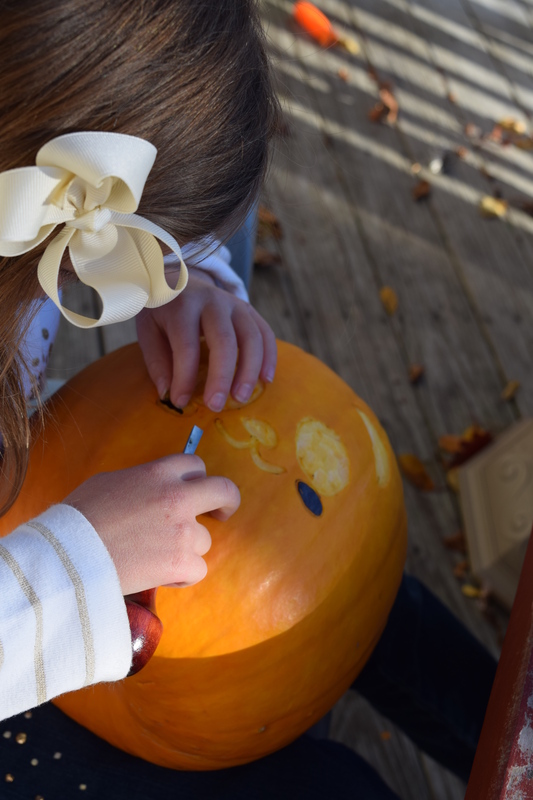 After much deliberation, the girls each found the perfect pumpkin to take home to carve. At home Dad took over as the art teacher. 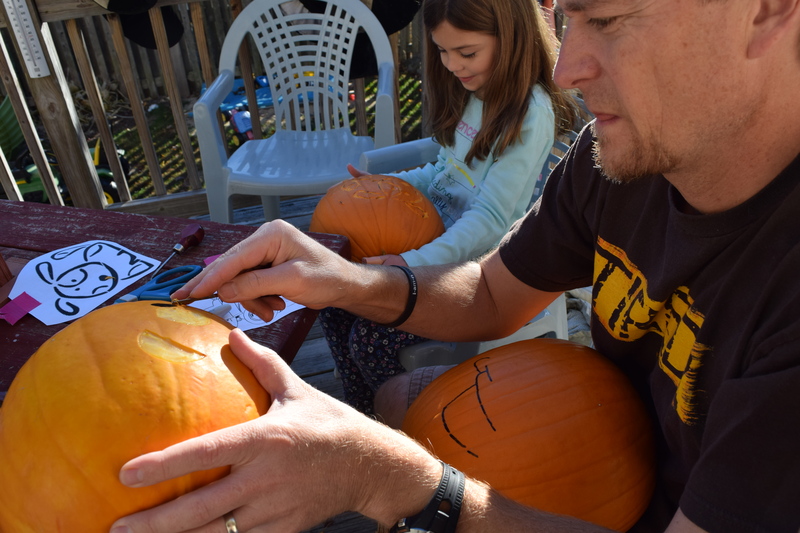 He helped the girls scoop out the seeds, pick a design, and show them how to carve their pumpkins. 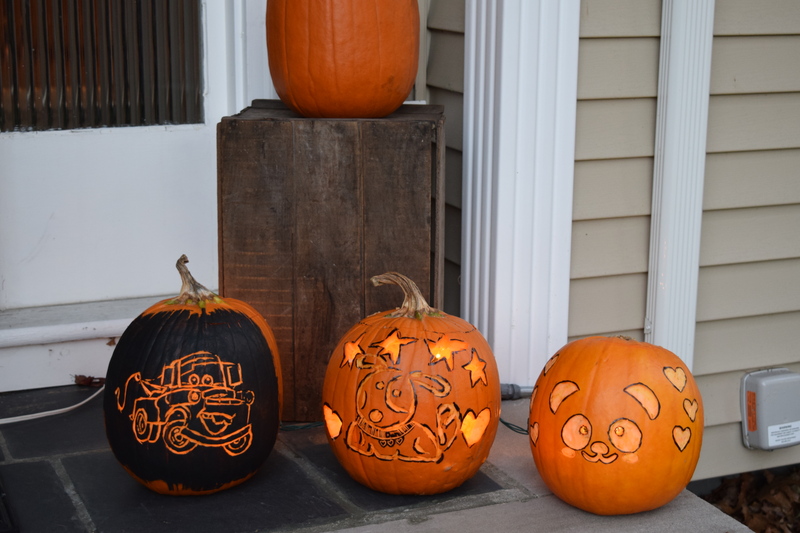 The pumpkin carving took a long time to complete but the final products- Mater, Puppy, Panda- came out fantastic. 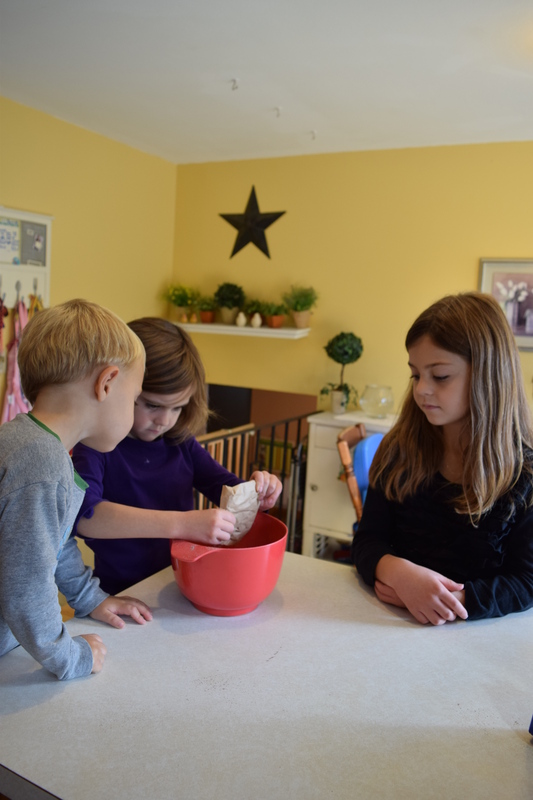 After the carving, it was time to wash, count, and roast the pumpkin seeds. 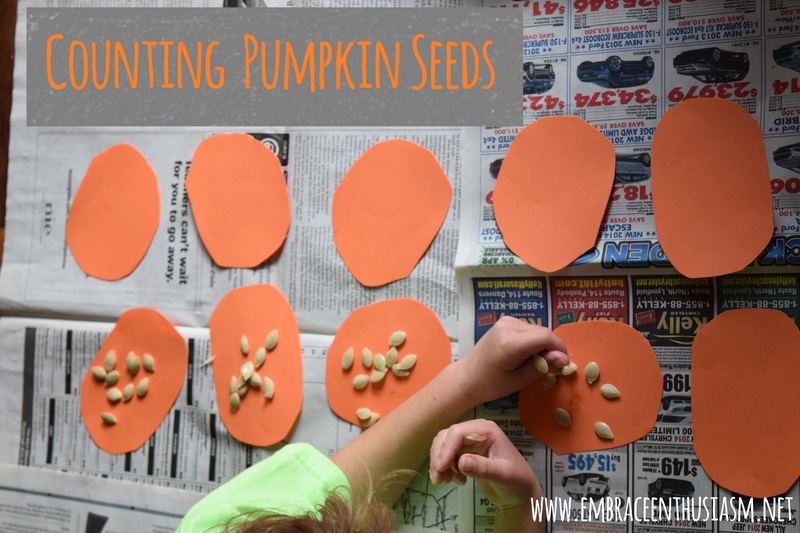 I read How Many Seeds in a Pumpkin? by Margaret McNamara. 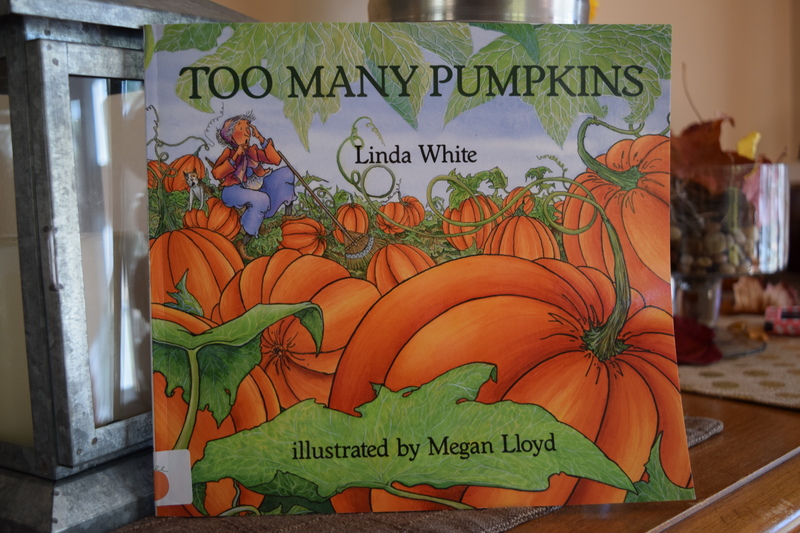 It is a great book to explore estimation and skip counting. 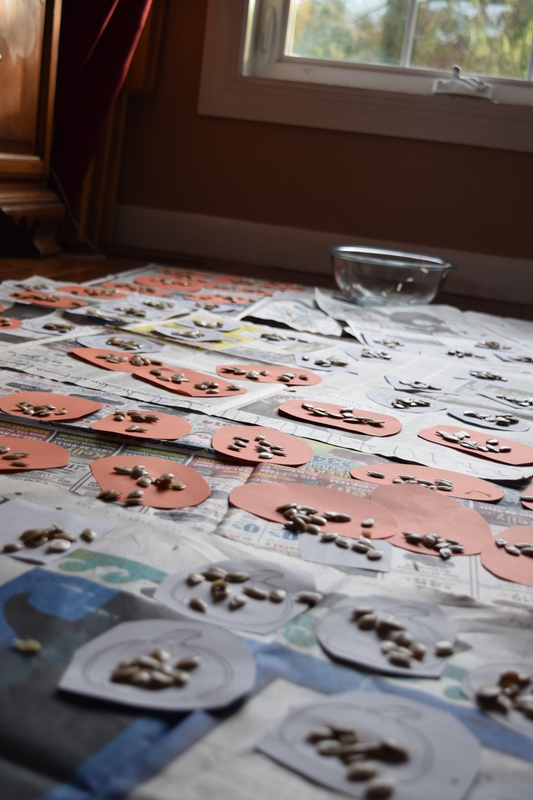 The girls estimated how many seeds they had and decided the best way to count their seeds were by skip counting by 10s. They got busy creating groups of 10s. I cut out circles, pumpkins, and square mats to help keep the groups separated. 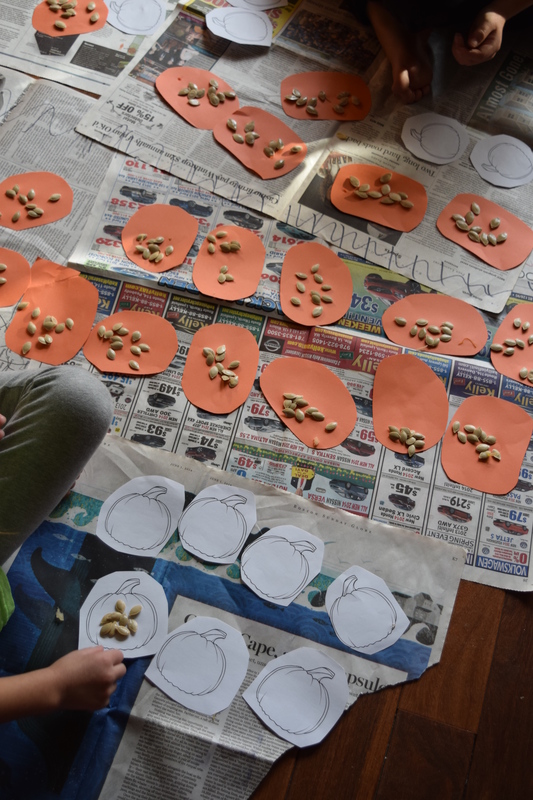 When all the counting was said and done, our pumpkins contained- 400, 562, and 466 seeds. We like simple recipes. 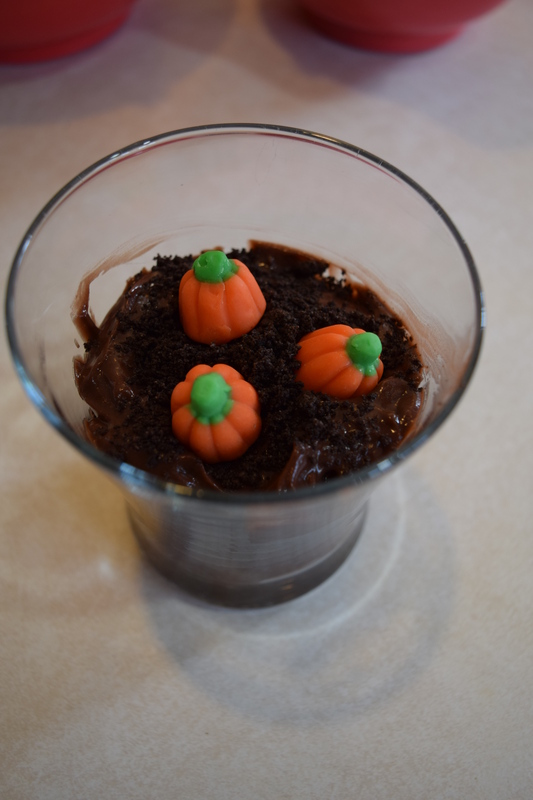 One day, we made Pumpkin Patch Dirt Cups. They were super easy to make and delicious. My kids got a kick out of how real the “dirt” looked. This idea and recipe came from Paintbrushes and Popsicles. 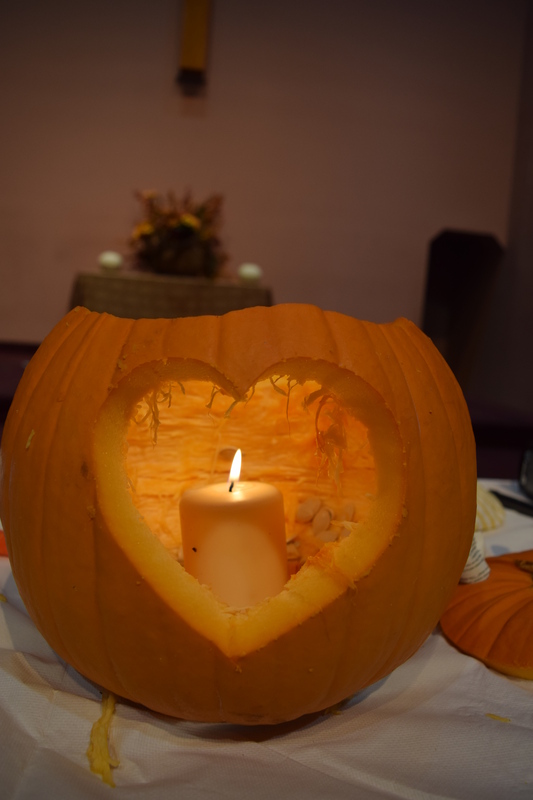 Finally, the best pumpkin lesson came from my husband’s sermon two weeks ago. 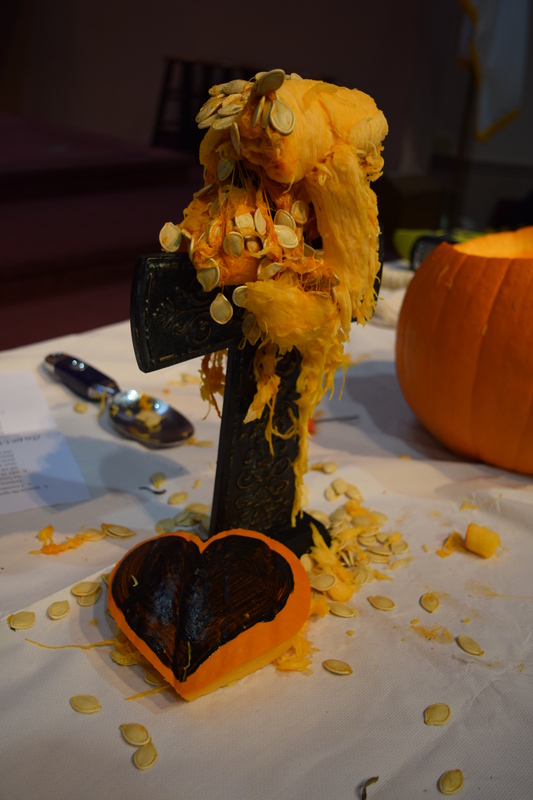 During the service, he carved a pumpkin as he describe how we are the pumpkin and God is a brain surgeon, a heart surgeon, and an internist. He explained that God needs to do brain surgery on us, scoop out the “junk.” Our junk is then placed on the cross and we are forgiven through Christ’s sacrifice. Next, God performs heart surgery on us. He takes out our dark, broken heart and replaces it with one of love and light. He gives us the Holy Spirit so that we can shine our light bright in a hurting world. The kids were kept in the service and I think that everyone was engaged. It was a great visual with a great message! This entry was posted in EMBRACE Creativity, EMBRACE Homeschool and tagged A Fierce Flourishing, book, books, counting pumpkin seeds, fall, fall activties, homeschool, memorization, poems, pumpkin, pumpkin math, pumpkin patch, pumpkin patch dirt cup, pumpkin unit, pumpkins, reading comprehension, Too Many Pumpkins. Bookmark the permalink.